Charming villages, lush green landscapes, views of blue lakes and magnificent Alps and elegant architecture in baroque style. Austria has everything you need for a fabulous holiday. This is one of the most beautiful and fascinating cities in all of Central Europe. Definitely you should put the Salzburg at the top of your list of the best cities in Europe. 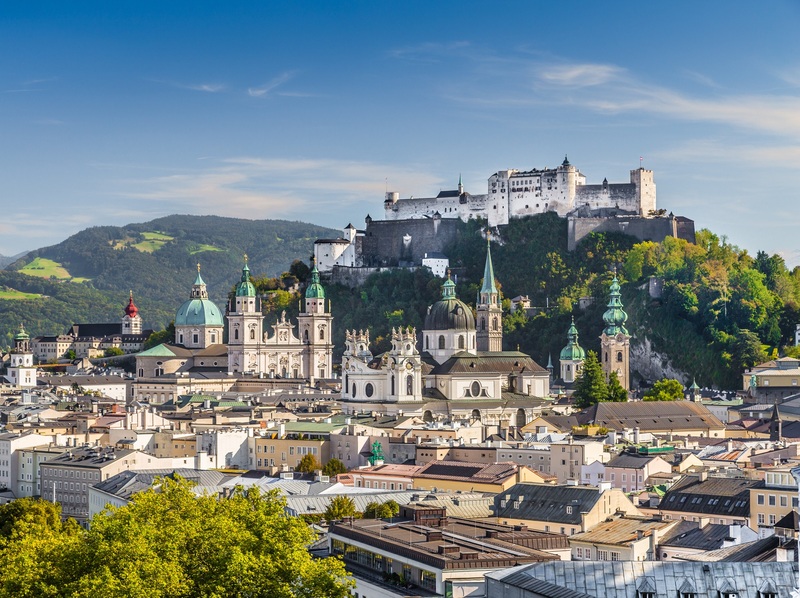 The city of Salzburg is mostly famous because it’s the birthplace of Wolfgang Amadeus Mozart and it was the setting for the popular film “The Sound of Music”. Feldkirch is a medieval city in the western Austrian state of Vorarlberg on the border with Switzerland and Liechtenstein. The city is worth a visit only for it’s impressive medieval center. The history of this amazing medieval town dates back to the 1200’s with the creation of Schattenburg Castle and has seen numerous battles including the Battle of Feldkirch in 1799 between Austrian and French military. The town maintained its historic charm and has several remaining sections of the city walls and guard towers and has a great variety of attractions. 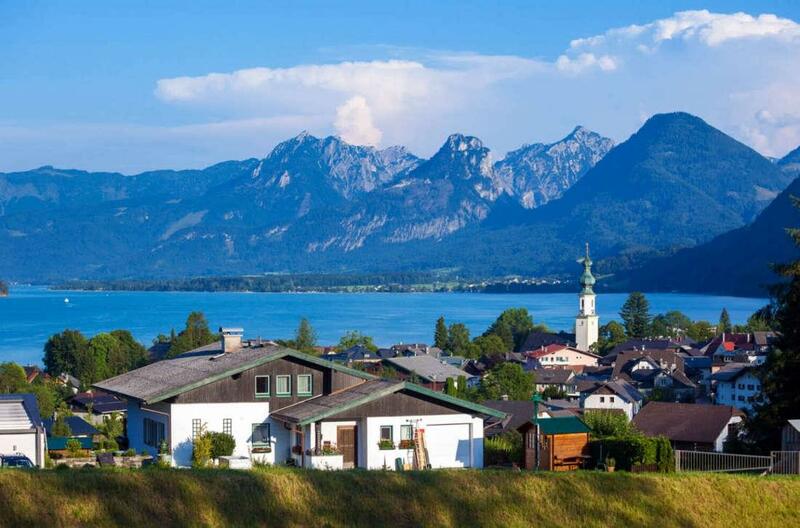 Sankt Gilgen surrounded by mountains, located directly on the deep blue waters of Lake Wolfgang. 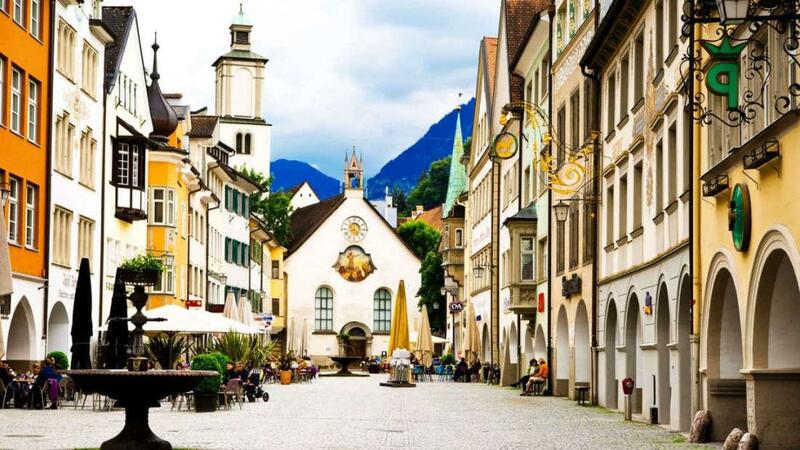 St. Gilgen is a medieval village full of colorful old buildings which has a natural beauty. The city began its development as a tourist destination at the end of the XIX century, at a time when the rich inhabitants of Vienna began to build their summer houses here. St. Gilgen is a little bit connected with Mozart, he never visited this place but his mother was born lived here. In Innsbruck there really are something special to see. Innsbruck is the capital of the Austrian state of Tyrol, along the Sill River and in the center there are many majestic buildings. However, after the Anschluss, when Germany captured Austria on the eve of the Second World War, Innsbruck was badly damaged by prolonged bombing, so most of the buildings nowadays are reconstructions. 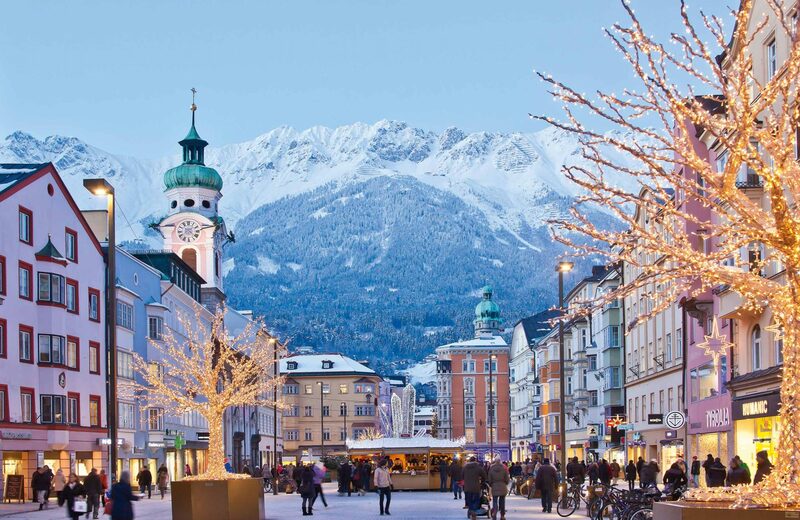 The Winter Olympic Games in Innsbruck were held in 1964, 1976 and in 2012 the first Winter Youth Olympic Games . 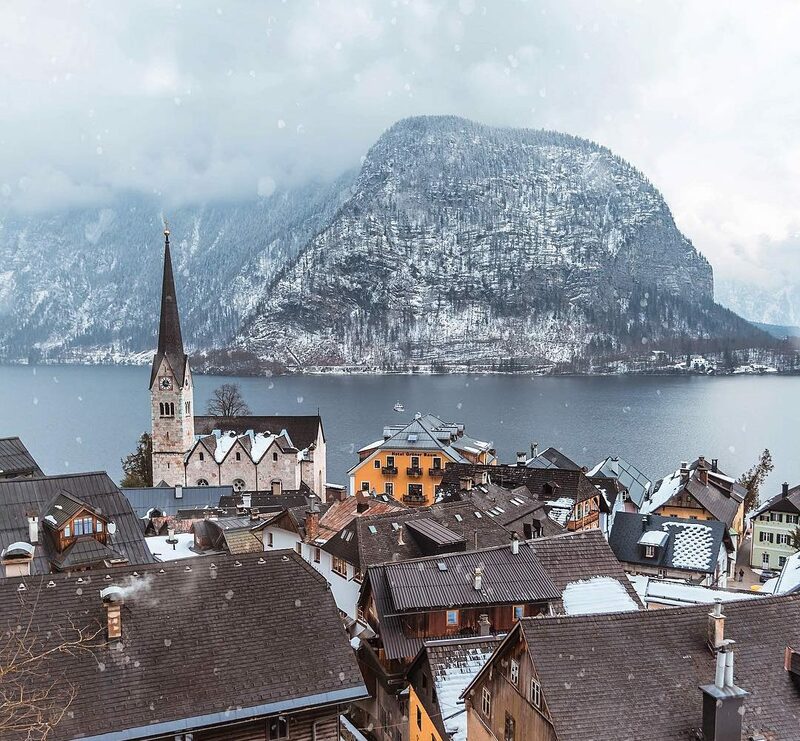 Hallstatt has become a favorite place of touristse from all over the world because of its extremely striking location right on Lake Hallstat. 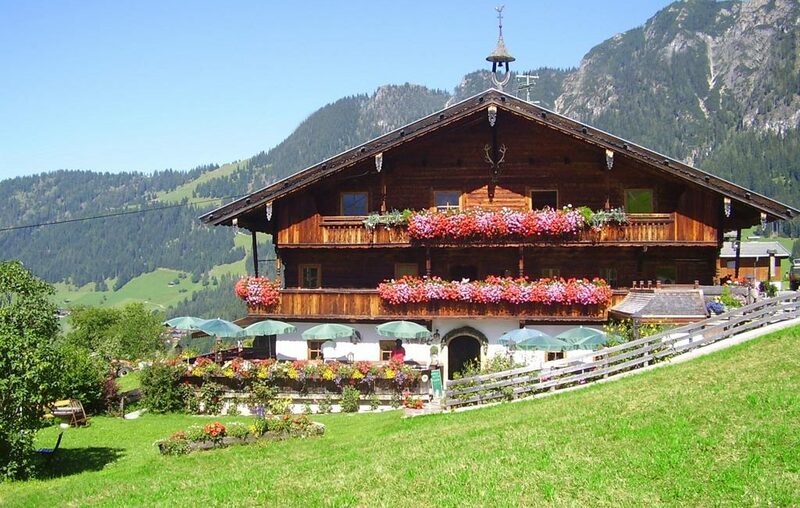 It is sitauated in the Salzkammergut region of the country and is fairly close to Salzburg. 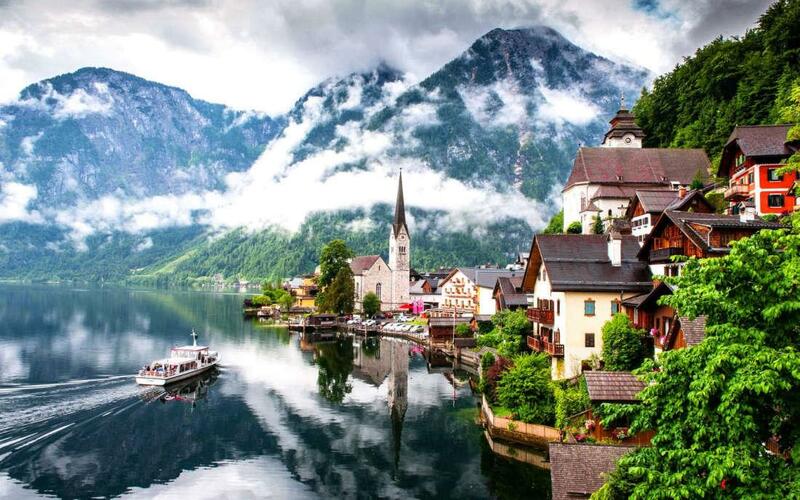 Until the late 19th century, it was only possible to reach Hallstatt by boat or via narrow trails. The land between the lake and mountains was sparse, and the town itself exhausted every free patch of it.Today, this popular tourist destination is a UNESCO World Heritage Site. Hallstatt residents are proud of their history and are lovingly caring and supporting the old houses in which they live today. 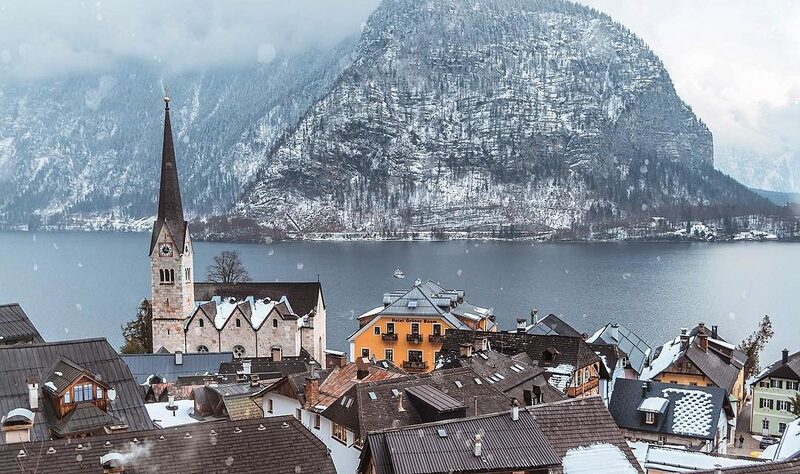 The visit to Hallstatt is a long and fascinating trip. Durnstein is one of those charming little castle town that probably you will see if you go on a cruise on the Danube River. Durnstein called as the country’s most beautiful small towns and boasts some of its most storied history. 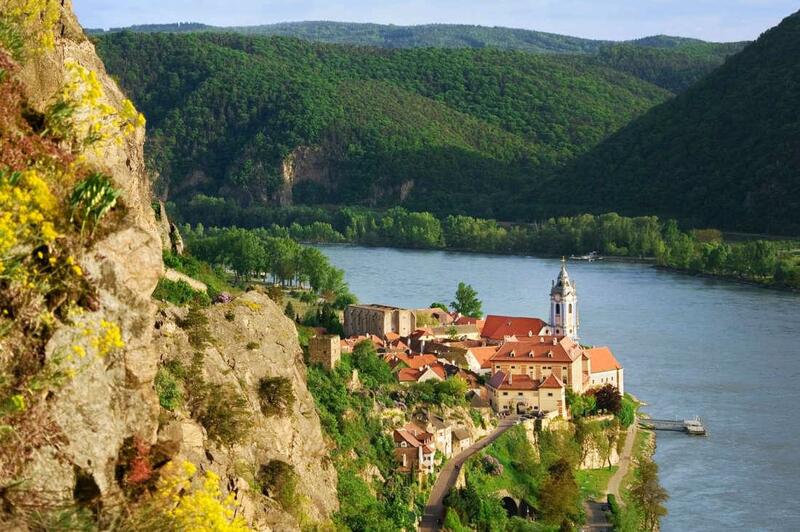 The town situated in the World Cultural Heritage region of the Wachau, also known as a “Pearl of Wachau”. Here is a medieval castle dating back to the 10th century and in the center of the city there are many beautiful buildings of all kinds of architectural styles. The town also famous by its location among Austria’s most famous vines, that’s why you can try some of the wine that is popular in Austria. The most famous varieties are dry white wines especially Gruner Veltliner. 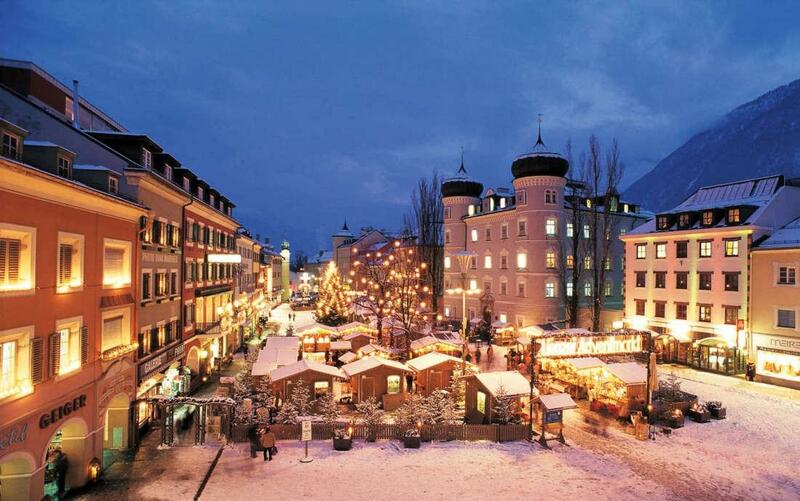 Lienz is located on the south side of the Alps close to the Italian border and close to the Italian Dolomite Mountain range. People live here from the Bronze Age, and this is almost 4000 years old. During this time the city has many changes. For its long history it belonged to: the Roman Empire, the Habsburg Monarchy and Nazi Germany. Nowadays walking along Lienz you can notice the architecture of those periods which is complemented by the natural beauty of the mountains and the green landscapes that surround it.